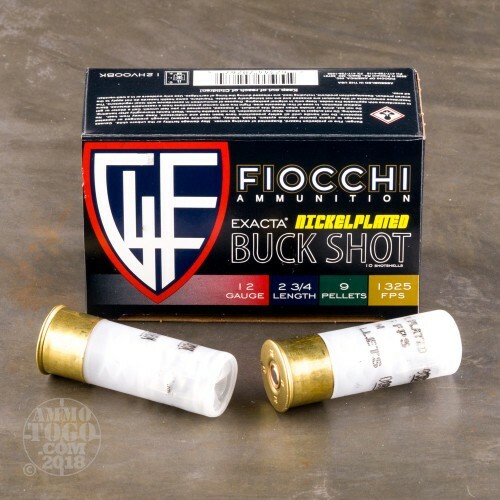 This is 12 Gauge Fiocchi High Velocity 2 3/4" 9 Pellet Nickel Plated 00 Buckshot Ammo. 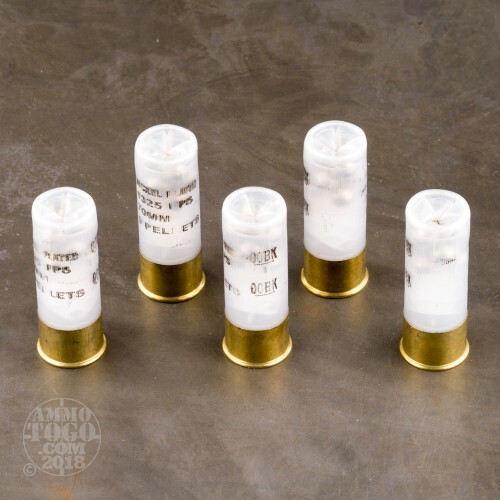 This ammo has nickel plated shot to increase the velocity and improve penetration. 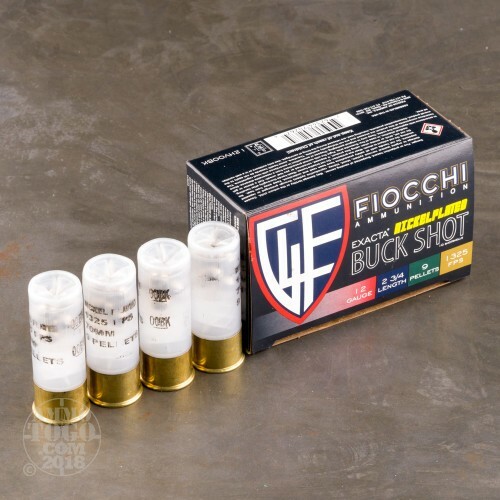 This ammo travels at 1325fps and is considered a full power round. 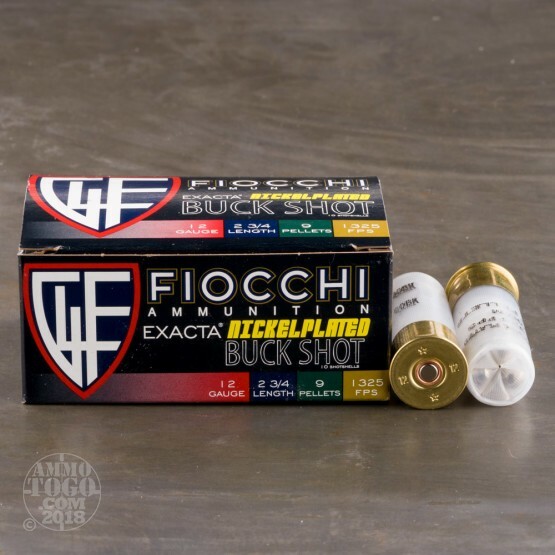 This is premium ammunition at an affordable price. It comes packed in 10rd. boxes, 250rds, per case.